JobScore has always prompted you to enter information when you change a job’s status to FILLED. But when you OPEN, CLOSE or put a job ON HOLD sometimes you need to do a few things as well. When you change a job’s status from DRAFT to OPEN, JobScore will ask you if you want to notify assigned search firms they can submit candidates. 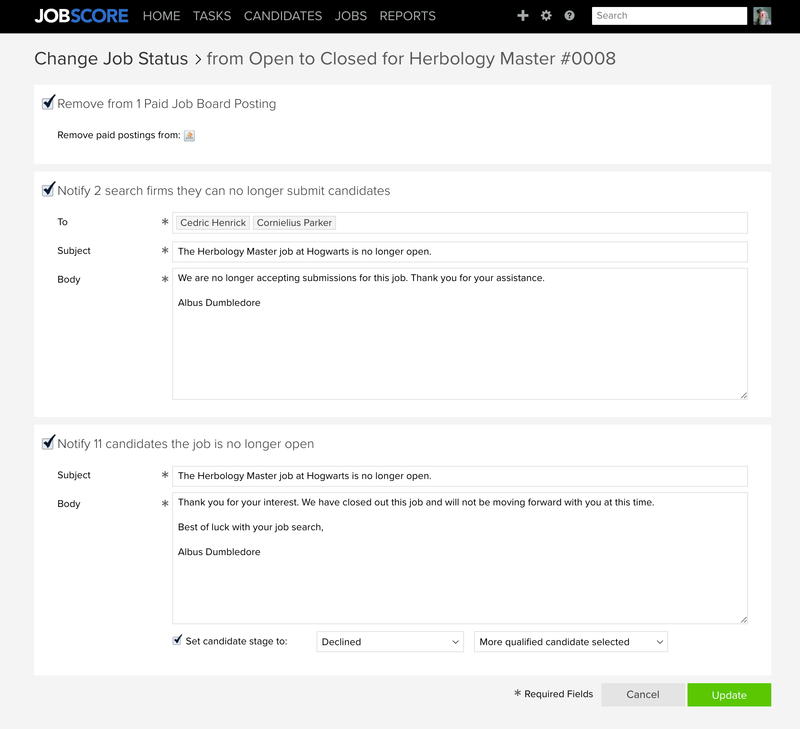 When you change a job’s status from OPEN to CLOSED, JobScore will ask if you want to remove paid job board postings, notify search firms they can no longer submit candidates, and notify active candidates that the job is no longer OPEN. Don’t want to do one of the suggested actions? No problem, just uncheck the box. These changes mean fewer things for you to remember, which will hopefully free up your mind to improve your recruiting in other ways.